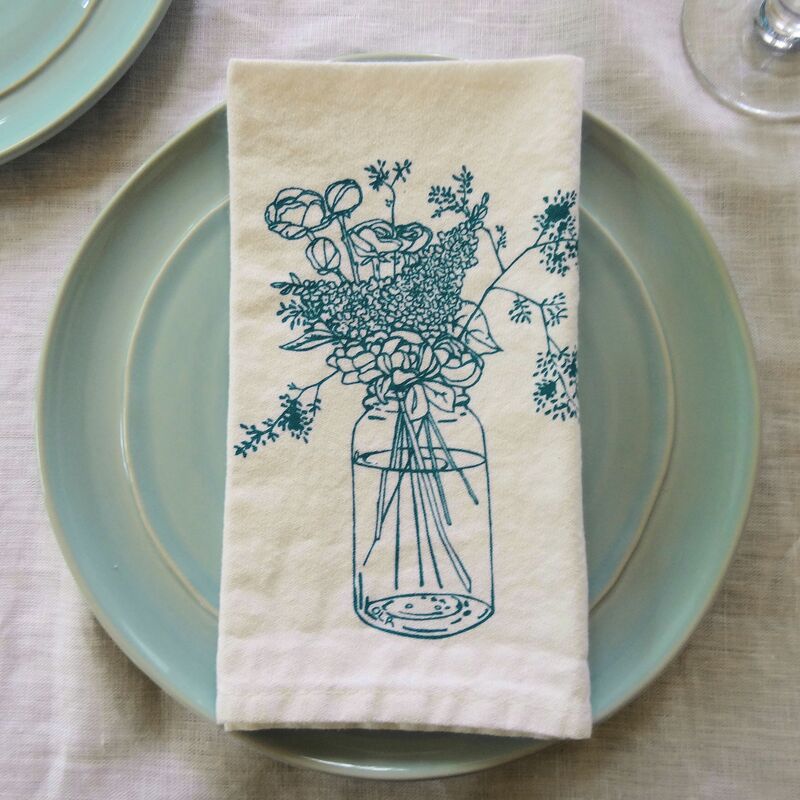 Beautiful hand-printed napkins done in a casual and creative design. 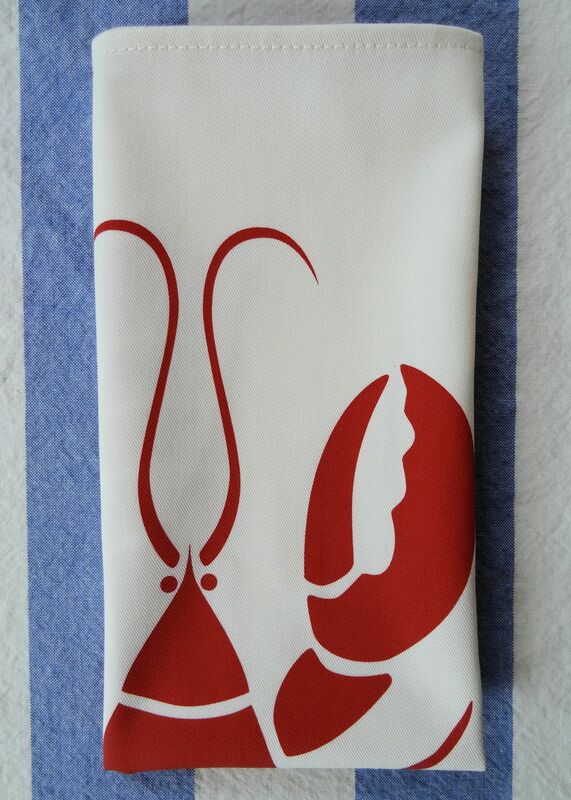 Great summer napkins to entertain with, especially if lobster is on the menu!! Perfect for everyday use and casual entertaining. 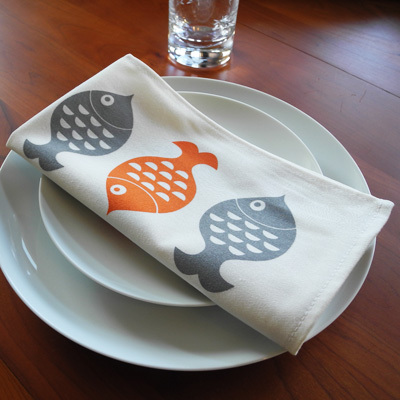 These napkins make a wonderful and unique gift for any occasion – birthdays, holidays, anniversary’s, bridal showers, housewarming or a fun hostess gift. Made with recycled polyester-organic cotton blend fabric. 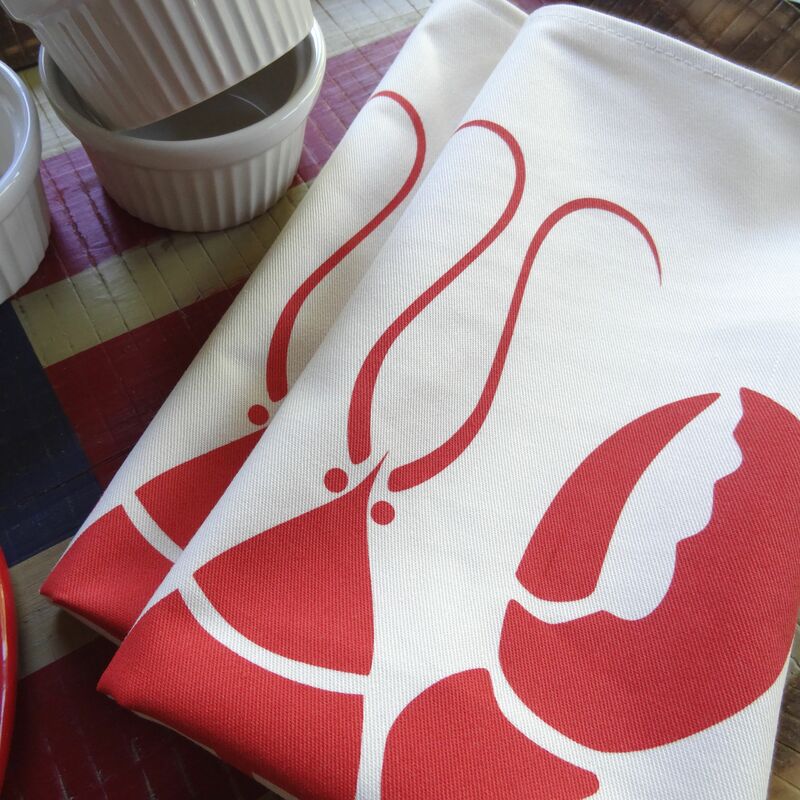 Printed with environmentally safe water based inks. Easy to care for. Machine washable in cold water, gentle cycle. Tumble dry low. Jolee Pink is the founder of Wabisabi Green. Her designs are inspired by nature found near her studio in southern California. Jolee is passionate about creating products made from organic, sustainable or recycled materials to help contribute to a greener earth.